While registering your very own company, it is vital to consider the direction the company is going to take. For eg. do you plan to raise capital? Governance issues surrounding Directors, Shareholders meeting extensive compliances etc. However, with this article, we hope to bring some clarity towards this issue. 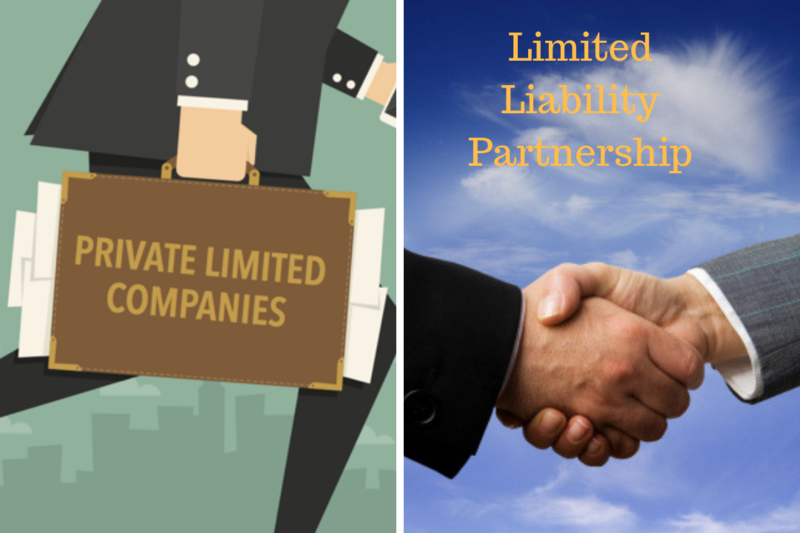 Here, we will look at why you should opt Private limited company over LLP. Before we delve into a detailed analysis of why Private Limited Company might be a better choice over LLPs, let’s take a look at some of the similarities of these companies first. You can also check out When to go for LLP over PLC(Private Limited Companies). LLPs and Private Limited Companies both require a minimum of 2 directors/shareholders/partners to start incorporation. 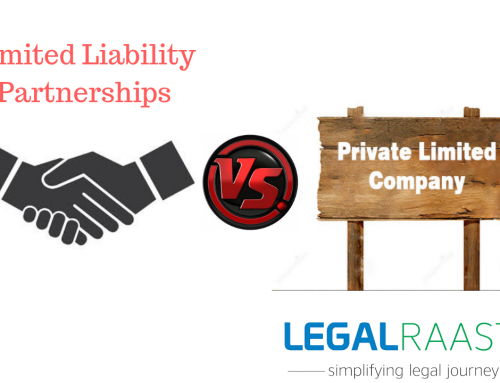 LLPs and Private Limited Companies both are a body corporate and a legal entity separate from its partners and shareholders. 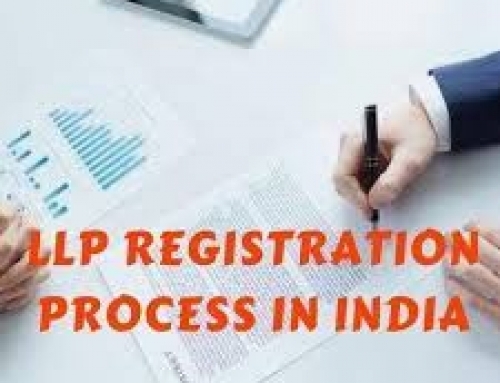 The procedures for Private Limited Company Registration, as well as LLP registration, are simplistic and very similar to each other. We list down the basic steps in the incorporation of these companies. The Ministry of Corporate Affairs (MCA) is also taking steps to ensure faster processing of company incorporation procedure with One-Day Company incorporation with SPICe. 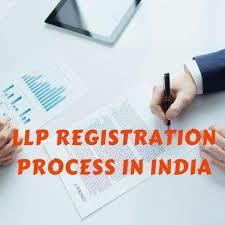 So as is clear to see, that registering either LLP or Private Limited Company is easy in India. However, to ensure that your company is heading in the right direction for the future, we wish to make the case that you should opt Private Limited Company over LLP. Given below is a comprehensive list of why going Pvt. Ltd is better than going LLP. Private Limited Companies have greater applicability and faster processing procedures, it is a widespread community all over the country. Private Limited Companies define a clear distinction between shareholders and directors of a company whereas LLPs provide no clarification on these roles. LLPs also have a higher fine rate for late filing of documents. Private Limited Companies have the provision for perpetual succession that is company continues to function as normal after death/ leaving of a director. LLP, on the other hand, has no provision of perpetual succession. Director(s) have to dissolve the LLP if any of the said events occur. PLCs have Flexibility on ownership and sharing of ownership. 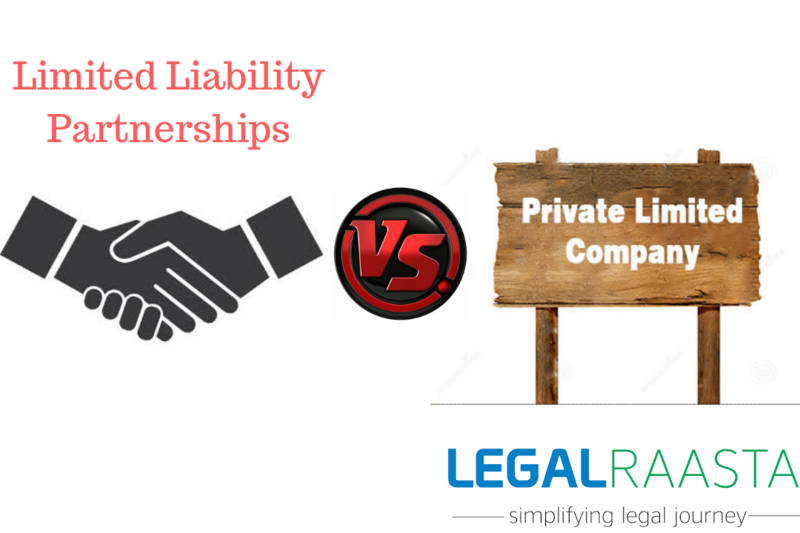 LLPs cannot retain profit in the same way as a company limited by shares. LLPs cannot issue shares at all and therefore, growth and expansion scope is very limited. A Private Limited Company(PLC) has provisions for various tax deductions.LLPs will have to pay Income tax whereas private limited companies have to pay corporation tax. There are many provisions in place for tax deductions on corporation tax. Even though PLCs have higher compliances and audit procedures these ensure the company stays in compliance with the regulations. LLPs if they have a higher than 40 lakh Rupees turnover, are subject to the same compliance requirements. Hence, constant auditing proves beneficial in this situation. Prepares the PLC for further more intensive auditing procedures. Thus, it is pretty clear that if you want to build a company with a higher scope for future expansion and easier processing procedures, Private Limited Company is the way to go. While LLPs have their benefits for specific types of businesses such as Brick and Mortar businesses, they limit a companies growth potential and require a lot more careful consideration. 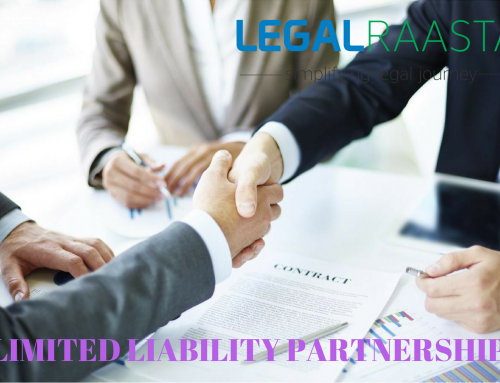 At LegalRaasta, we specialize in helping you incorporate a company whether it is Private Limited Company registration or LLP registration along with GST registration and ITR filing. With our daily updates on the blog, we help you stay up to date with the latest law changes, compliance requirements, taxation among others such as food licenses. 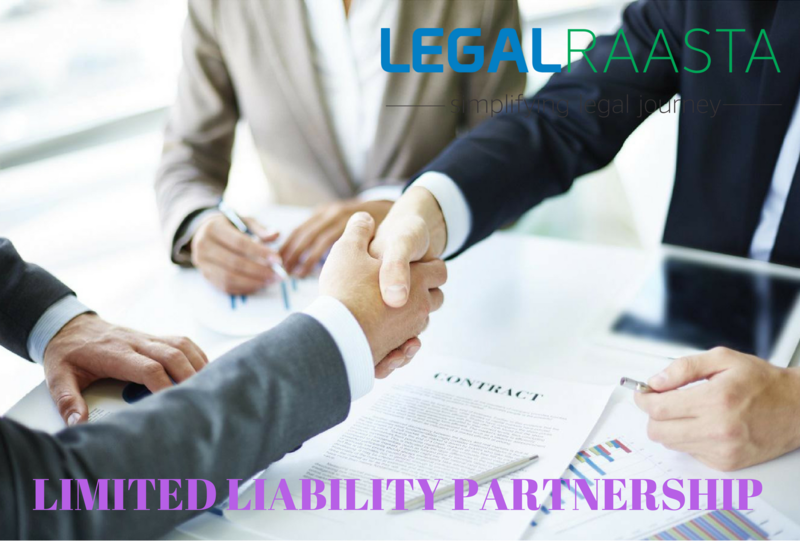 Talk to us about your requirements at +91-8750008585 or send us an e-mail at contact@legalraasta.com. Going for LLP Registration? Check on these all-important points An LLP is becoming the First Choice for Small Enterprises and Services Sector Enterprises. It is a Combination of Partnership and a Standard Company, pooling the benefits of Lower Compliance costs and Limited Liability, and much more.